Many first time coaches volunteer or are volunteered to the job. The first thing is to relax. Relax and think about how much fun you are going to have with all these young soccer players and the experience that they are going to gain from you. The Goal is to create a fun, learning soccer environment for all our players in training and in games! Coaching Education is one of the most important part of any soccer club and the Lafayette Youth Soccer Association will continue to update this page and give all of our volunteer coaches the best information and resources to help with player development across our entire programming. As our motto goes - "LEAD THE WAY"
The Lafayette Youth Soccer Association is committed to giving the best possible resources to all of our volunteer coaches. Coaching at the youngest age group is about creating a fun learning environment by using activities that are soccer related. They may not always look like soccer but there is an element of the game involved. With this being said we have worked with Soccer Academy Inc, to create this activity guide book to assist our coaches with making sure the game is fun at these younger age groups. - Provides a list of over 50 FUN age appropriate activities specific for player/child development at the youngest ages. - Coaches can select 6-8 different activities for each training/practice session to keep the players engaged throughgout. - At these ages stay away from the 3 L's (Lines, Laps and Lectures) and utilize activities rather than DRILLS! The US Youth Soccer Coaching Department has introduced its latest coaching resources with three age-specific practice activity guides. The three guides - for the U6-U8 (can be used for U5), U-10, and U-12 age groups - give coaches an idea of what should be covered throughout a season while highlighting activities that focus on development in a low-stress, fun-filled environment. Each resource covers multiple types of practice activities, from warm-ups and individual training to small-sided and group games. The exercises are tailored to meet the cognitive and physical characteristics of each age group. Each guide contains individual activity descriptions with accompanying coaching points, so coaches are aware of what to watch for during each exercise. With 20 sessions broken down in each guide, there are more than enough activities to meet the needs of any youth soccer season. - Provides a list of varying characteristics of Under-6 and Under-8 players in regards to sports. - How to play Small-Sided Games with "large" rosters. - Activities focus on individual soccer skills that build on one another. 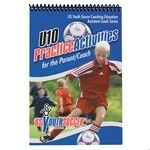 - Provides a list of characteristics of Under-10 players. - Advice on how to connect with the youth athlete. - Information on inserting tactics into training. - Activities geared toward development and decision-making. 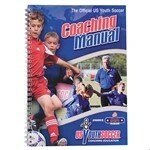 Lafayette Youth Soccer Association through their affiliation with US Youth Soccer are delighted to bring you this manual. There is no doubt that the most important people in our soccer club are the volunteers who commit their time and energy to developing the players of the future. Our goal is to keep Lafayette Youth Soccer Association at the vanguard of player development and this manual will help you provide the foundation for all of our players to develop. Focusing on technique, Skills School teaches the fundamental elements of dribbling, passing, receiving, shooting, tackling and heading for field players as well as basic goal keeping skills. Each skill is designed to enable coaches to better instruct their young players. In an easy to follow layout, Skills School provides first-time coaches and those who have little experience in coaching young players the basics of all ball skills. Below are several very good videos that help explain U.S. Soccer's new Build Out Lines and how to coach/teach as well as implement them during your games. The Build Out Line is one of the New Mandates from U.S. Soccer that every soccer club in the United States must now implent throughout their programming.